How to calculate Daily Cost Usage ? 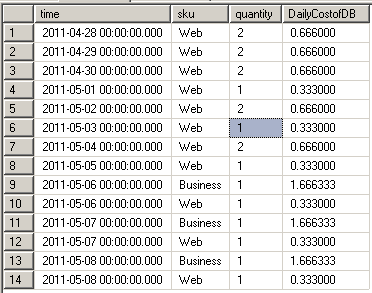 How to calculate Monthly cost of Database Usage ? Does this still hold true? I think the costs have changed since you wrote this (not sure)? Synchronize or Replicate Databases in SQL Azure across Servers How to identify what features has been installed in your SQL Server ?